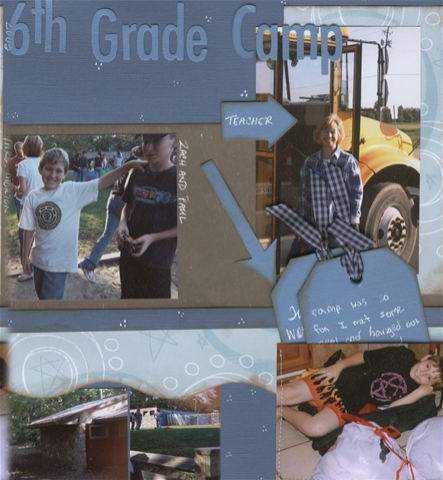 The other day I was inspired when I seen one of Zach's camp pictures and decided to get a layout about 6th grade camp done. I decided I also wanted him to write his memories of camp, which I'm sure he'll appreciate one day. I was happy with the layouts - though not real happy with my scans? ?